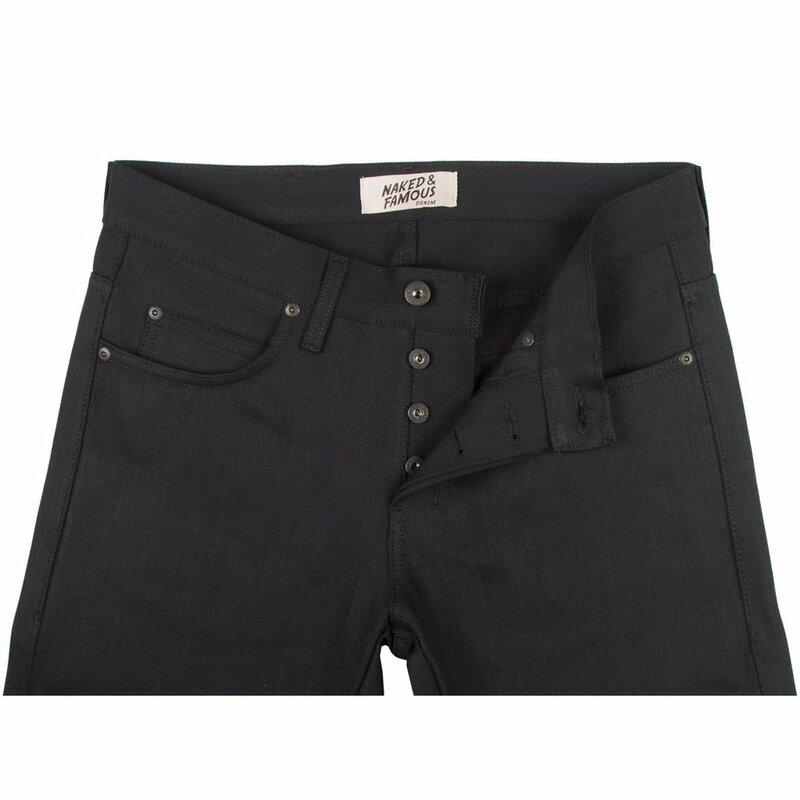 13oz black sulfur dyed Japanese selvedge denim, woven on vintage shuttle looms in a right hand twill construction. 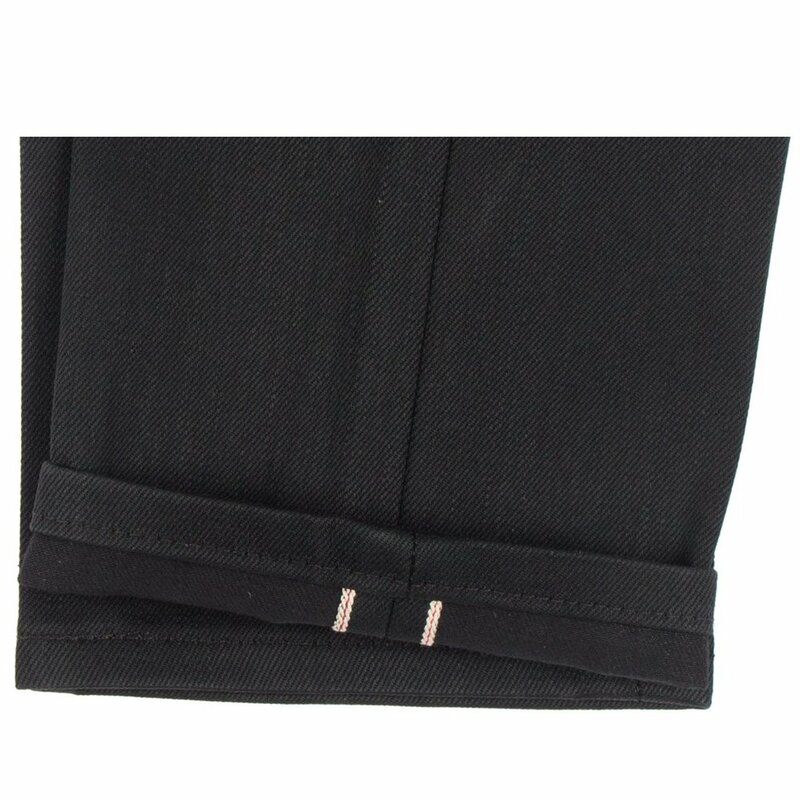 The denim is dyed black on both the warp and weft for a solid black color tone and also includes a classic red line selvedge ID. The sulfur dye is resistant to fading to ensure the jeans stay blacker longer.